We’ve started off Autumn with a week of fabulous weather. How lucky is that? The Kindergarten are still wearing shorts and enjoying recess time without jackets. It’s a wonderful time, and we are noticing how much bigger, stronger and faster the children are out on the playground. They are developing a lot of confidence in their physical abilities. 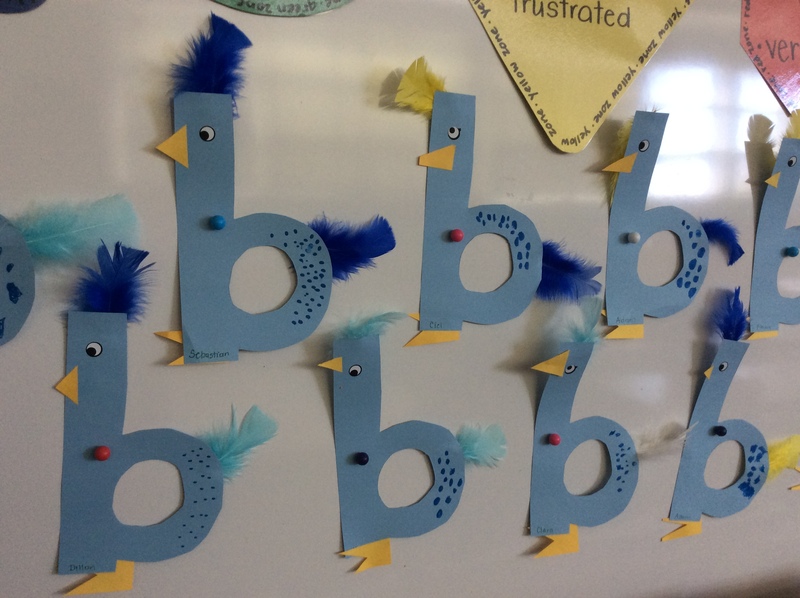 We’ve had a very productive week, beginning with these beautiful blue birds for our alphabet “b” craft. 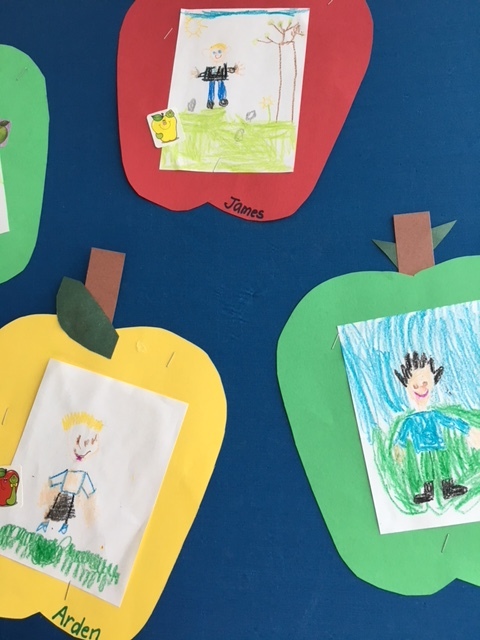 We sent home the apples for “a”. For the next 25 weeks, you will receive a new alphabet craft! Please keep the letters, and put them up on the wall at home, so you and your Kinder can be practising alphabet names and sounds. 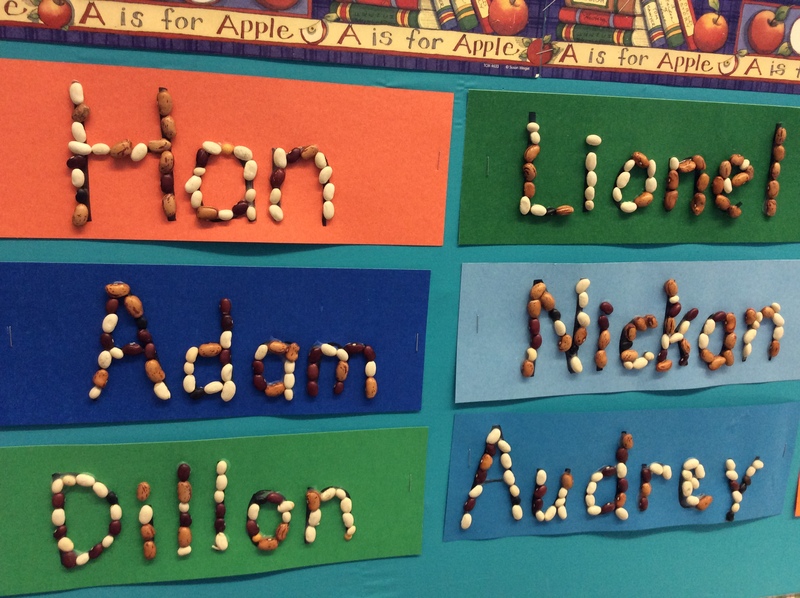 We’re always looking for activities to develop fine motor control, and these Bean Names pretty much fit the bill. The children were exceeding patient, selecting their beans and holding them in liquid glue to make a pleasant design. It’s always great fun to see them reading the names once our artwork has gone up on the wall for viewing. In Math we’ve starting tubbing rotations for Patterns. The children are working in small groups, and using a variety of math manipulatives for free exploration; and now we are requiring them to make AB patterns using the different materials. We’re enjoying the “gallery walk” we take around the tables to admire each other’s patterns. We also started our Social Studies Unit on Family. 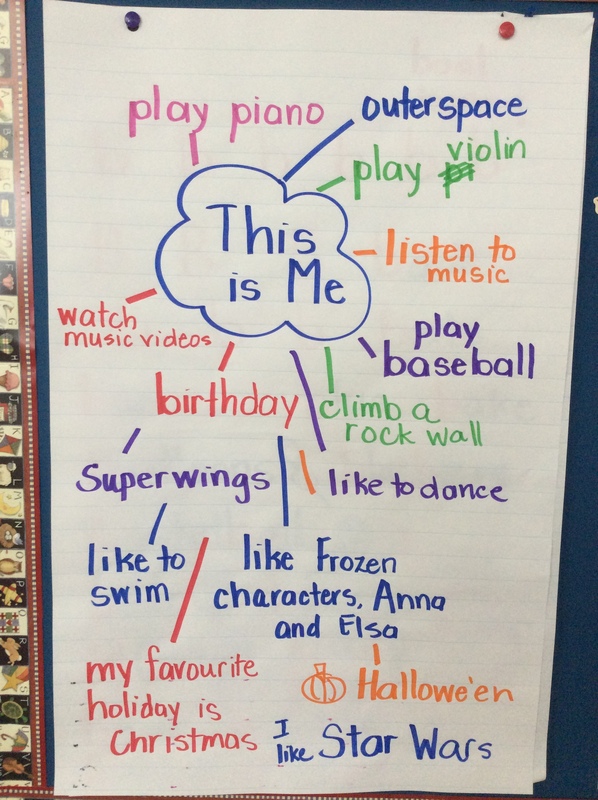 In Kindergarten we begin by talking about our personal identity. This week we read It’s OK to Be Different by Todd Parr. The children love the bright colours and simple shapes Todd uses in his artwork, and the positive message that each of us is unique and special. We brainstormed about some of the personal talents each of us have and activities we enjoy doing. Next week we begin talking more about our names. If your child has a story around his or her name selection (eg., your child was named after someone in your family or a family friend), please share this information with your child so he or she can tell us about it at school. We saw our favourite Grade 7 Buddies on Friday! Any guesses about what we made? These Thanksgiving cuties will be sent home next week. Monday is Library Book Exchange. Please return your Library book so you can borrow a new one! Thursday, October 4, our Physical Literacy teachers for the school district will be coming to Ridgeview to complete the baseline physical literacy assessments for all Kindergarten children. Our children should all wear runners to school. The October Scholastic Order went home today. If you would like to place an order please do so by Wednesday, October 10th. If your child has completed their September Homework calendar please bring it back to school for a special sticker from the teacher. October calendars went home today. We’d like to remind everyone that dogs (and we are dog lovers ourselves) are NOT PERMITTED on sports fields, school facilities or playgrounds in West Vancouver. Please do not bring your dog onto the Ridgeview property. This includes carrying your dog onto the school grounds. Many children and adults are afraid of dogs, and they should feel safe at school which, according to westvancouver.ca, are dog free areas. Thank you for complying with your municipal by-laws. This year we’ve noticed quite a few children putting their fingers in their mouths and noses. As you can imagine, with the number of children overall in the Kindergarten that is a lot of opportunity for germs to spread. We are asking your children everytime we see them do this to wash their hands with soap and water. Another skill would be to teach your children how to use a tissue correctly when they blow their nose. We’d greatly appreciate your support in these hygiene concerns. Well, for a four day week it was a pretty busy one in the Kindergarten. 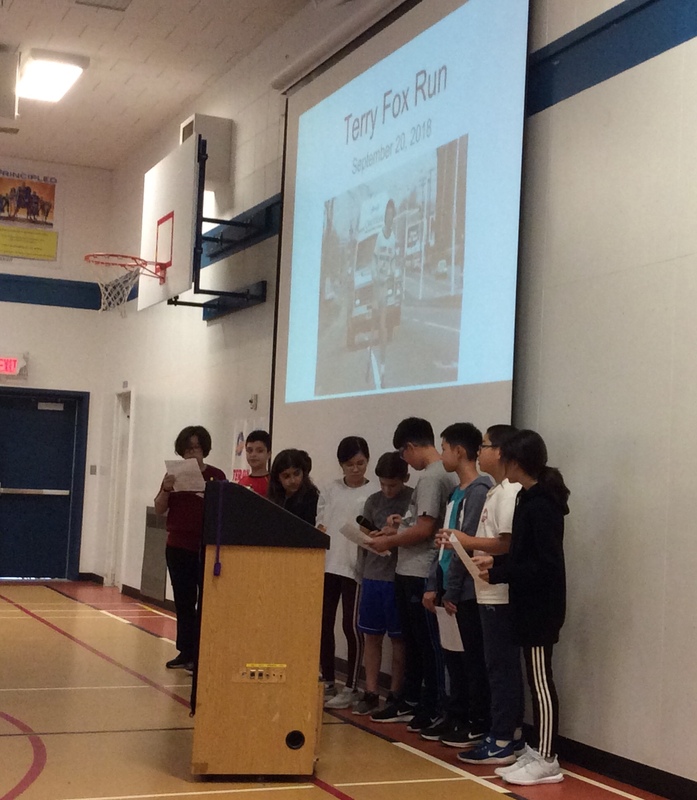 This week was all about Terry Fox, one of our Canadian heroes. We’ve been collecting toonies, reading stories, discussing the Canadian flag and reflecting on Terry Fox. Despite being very young, the children bring wisdom and deep understanding to Terry’s accomplishments. They knew Terry was going to run a long way, this goal would require a lot of perseverance and that it takes just one person to make a difference. The children brought their enthusiasm, donations and #RidgeviewPride to a great day! Thank you to our Grade Six students, under the direction of Ms. Rice and Mr. Parslow, for arranging this informative session for our school. Each day this week the Grade Six students have visited our classrooms to tell us a few more facts about Terry and to collect our donations. Thank you to everyone for sending your children in with toonies. The children are developing pride in participating in social causes. They knew they were part of something bigger as they each placed their money in the collection envelope. There’s nothing quite like a sea of red and white to get your Canadian-ism on. For the run, our children warmed-up with Mr. Meldrum and Mr. Paterson leading the way. 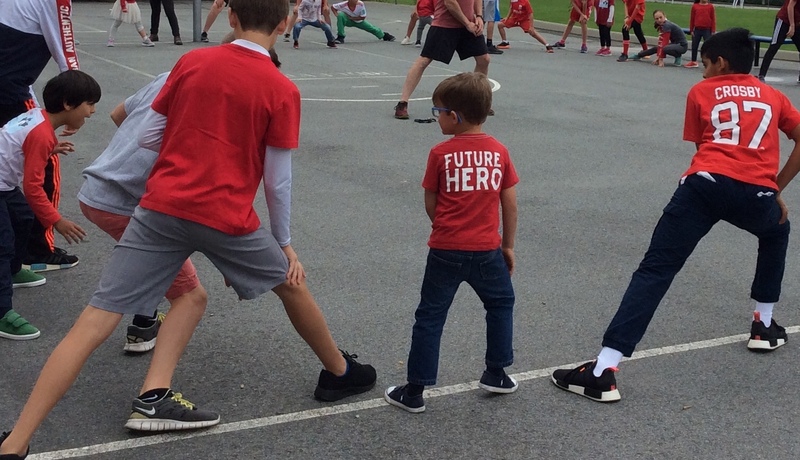 We met our Grade 7 Buddies for the first time and enjoyed a brisk walk/run with them around the gravel field, then waited for the rest of the school to return from their neighbourhood run. We all felt a sense of unity as we worked together towards a common dream, Terry’s Dream. We’ve had our first week of Hot Lunch at school. The lunches have been generally well-received by the children. We’d appreciate it if you’d check in with your child to ensure they like their food. It’s very difficult if your child doesn’t like the hot lunch and then has nothing else to eat. Monday is Library Book Exchange. Please remember to return your library book to take out a new one. We’ve had a wonderful first full week in Kindergarten, which included our first full days at school. It’s been a very special time as we get to know the children, listen to their stories and experience the joy of playing and creating together. 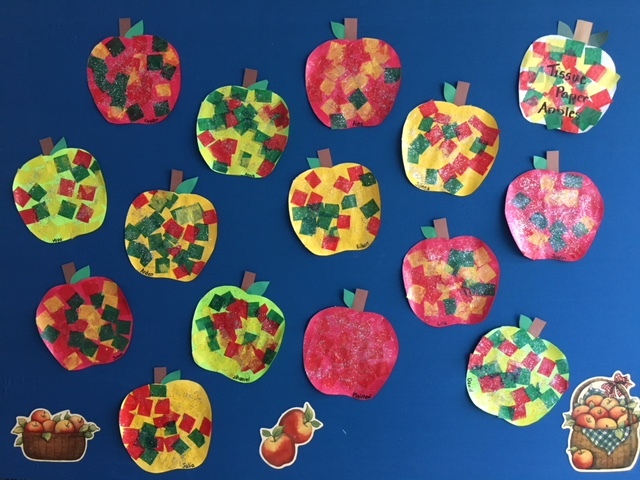 We started our Alphabet work with “a is an apple on a branch,” from Itchy’s Alphabet. Each week we are introducing a new alphabet letter name, sound and printing formation. In Kindergarten the children are printing using an oversized Tri-Grip pencil to work on a correct pencil grip. 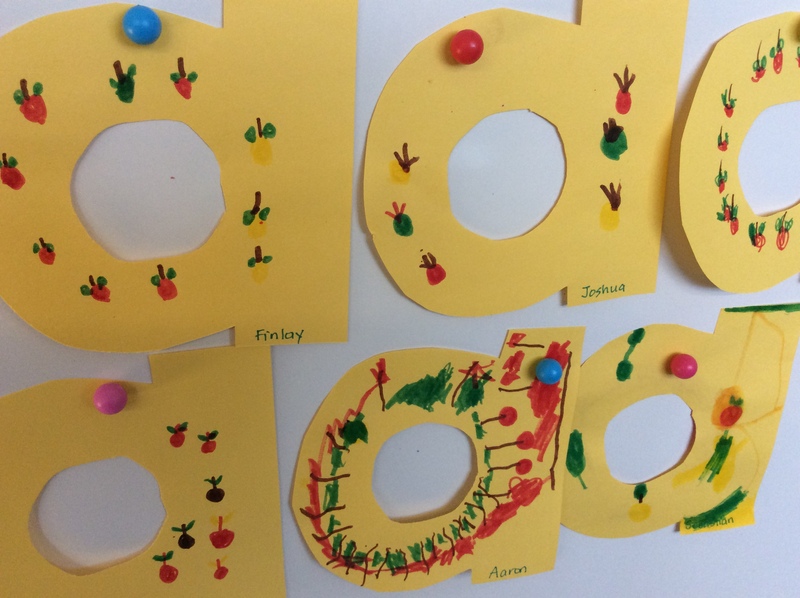 We were very pleased to note that many of the children are able to print their own names, mostly in uppercase letters. We will gradually shift to the standard practise for names of an uppercase letter followed by lowercase letters over the year, so that will be something to look for in the weeks ahead. Click here to read more on our thoughts about Phonological Awareness. In Math, we begin with Free Exploration of math manipulatives. This time to explore and discover the math materials we will be using to develop a sense of number cannot be underestimated. The children need the time to play and appreciate all that they can do with pattern blocks, square blocks, beads, multilink blocks and links so when asked to complete specific tasks, they are able to bring their attention to our requests. 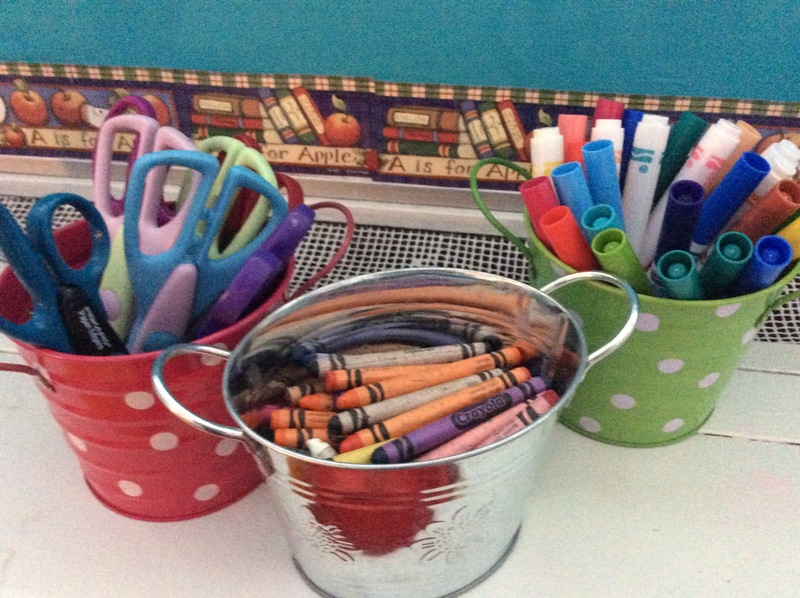 Click here to read one of our most highly read posts Math, the Kindergarten Way. We had a fun time during our first Library visit to meet Mrs. Kennedy, our Teacher-Librarian. Mrs. Kennedy showed us how we enter and leave the Library, and where we sit for Storytime. 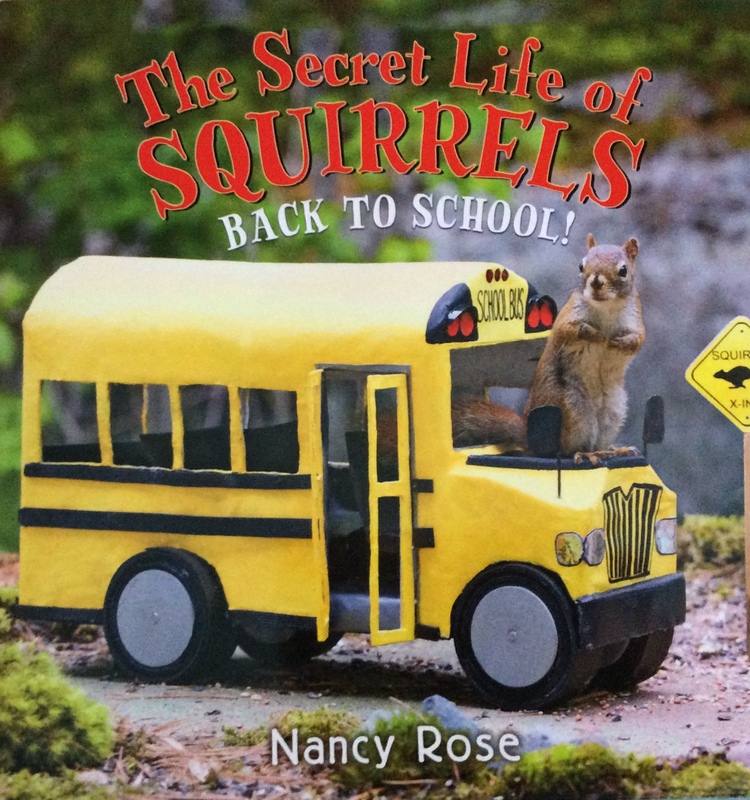 Library visits and Book Exchanges will be on Mondays for both classes. We were very busy this week with not one, but two, Art projects. 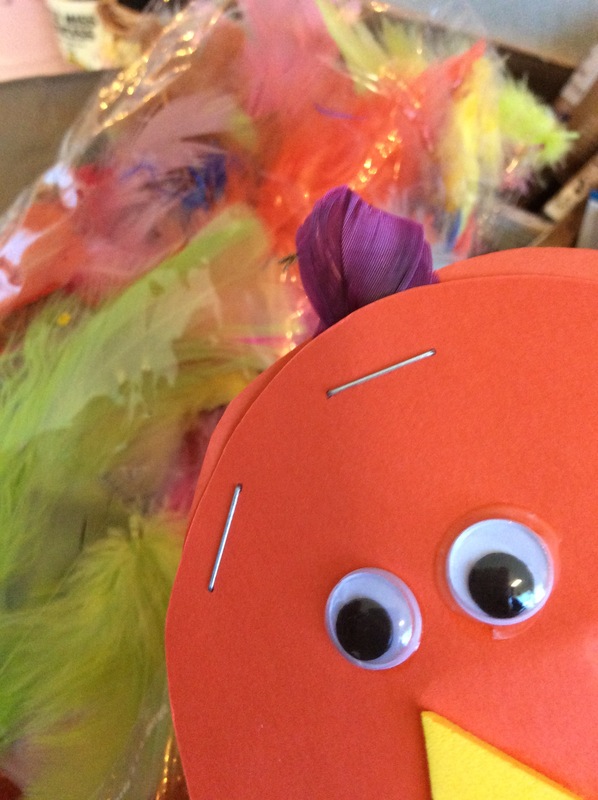 The children made Tissue Paper apples, and their first self-portrait for September. We save all of this gorgeous work and collect it for the children’s scrapbooks which they will take home in June. We’ve been on the playground for Recess Playtime both as a Kindergarten group and with the full school. Although there are a lot of children playing, particularly at lunch, our children are respecting the boundaries and expectations for outdoor play. 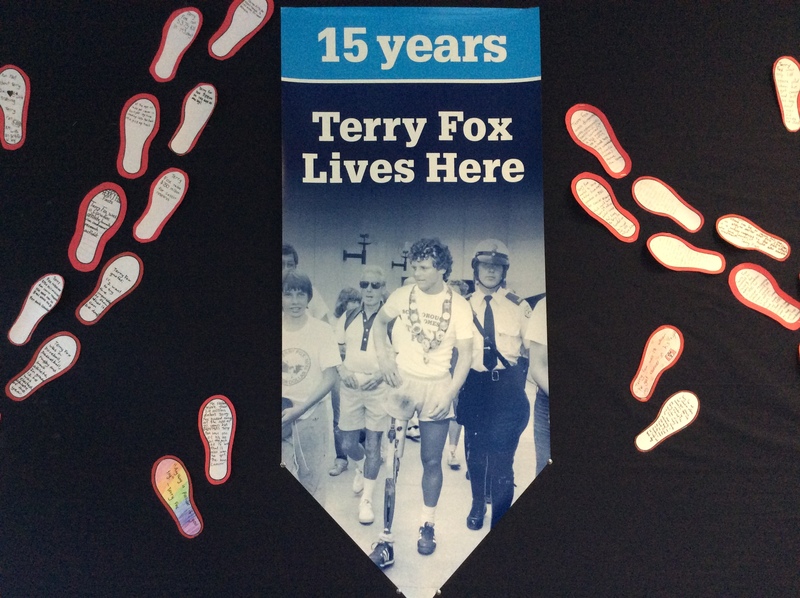 Ridgeview’s Terry Fox Run takes place on Thursday, September 20. The Kindergarten will walk/run laps around the gravel field with their new Grade 7 Big Buddies. We will do a warm-up on the blacktop and then move down to the field. While the rest of the school runs the school route through our neighbourhood, Kindergarten children will wait on the playground. 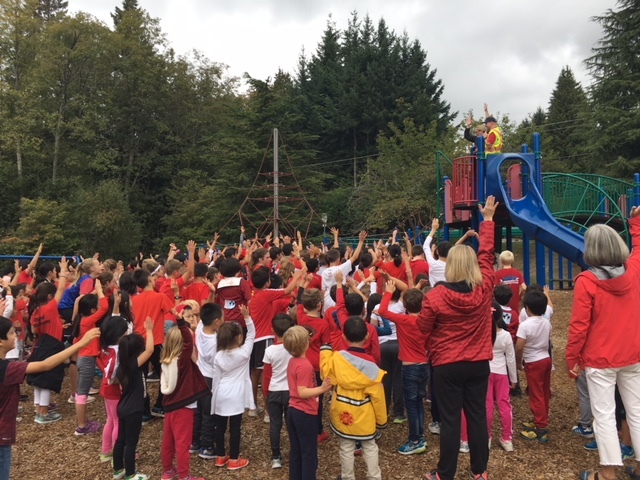 Our school tradition is to wear red and white clothing. We will be giving out the “I’m running for….” stickers for children to wear on the back of their shirts. Please complete the stickers at home. We’ve been hoping for more late summer sunshine but we seem destined for rain. It’s time to send in a change of clothes for the children to keep here at school. Please place in a small shopping bag, labelled with your child’s name to hang on their hook. 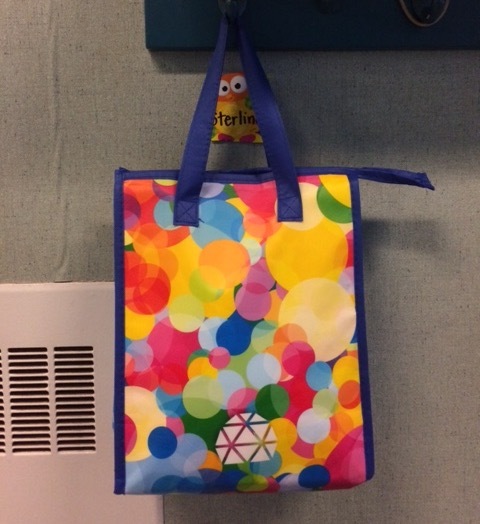 You can also bring in your child’s rainboots to keep in your child’s cubby in the cloakroom. Music Class with Mrs. Soderling starts on Monday this week. We have Music on Monday and Wednesday. Individual student photos will be taken on Tuesday, September 18th. The Kindergarten students usually have their photos taken right at 9am so please be on time. It’s a Professional Day on Friday, September 21 so school is not in session for students. We know September is a busy time with a lot of forms coming home, and requests from the school. We are still looking to collect Student Verification Forms and Comfort Kits. If you have not yet paid your child’s School Supplies fee, you can do so through schoolcash online. If you are uncertain of how to do so, please see Mrs. Lytle in the office. A warm Ridgeview welcome to our new Kindergarten children! We’ve had a super fun time during this week’s Gradual Entry meeting all of our delightful Kinder Cuties and helping them to settle in, meet new friends and explore new classrooms. Monday, September 10: 8:50 am-12 pm for all Kindergarten students. Please bring a snack and a non-spill water bottle. Please be on time to pick-up your child. Intake Conferences for Kindergarten parents begin this afternoon. Tuesday, September 11: 8:50 am-12 pm for all Kindergarten students. Please bring a snack and a non-spill water bottle. Please be on time to pick-up your child. Intake Conferences for Kindergarten parents continue this afternoon. Wednesday, September 12: 8:50-12 pm for all Kindergarten students. Please bring a snack and a non-spill water bottle. Please be on time to pick-up your child. The Kindergarten Teachers are attending a Professional Learning Session for the afternoon. Thursday, September 13 and Friday, September 14: 8:50 am-2:55 pm for all students. Please bring two snacks, lunch and a non-spill water bottle. Please indicate to your child that one snack is for the afternoon and label them if you can. A full day in Kindergarten is a very fun, but very long day. We’ve been teaching Kindergarten for 12 years, the past 7 in full day K so we know that a certain amount of self-regulation, rigor and resilience are needed to push through each day. Although your child may have attended daycare for a full day or preschool, your child is now receiving formal schooling in a BC public school. 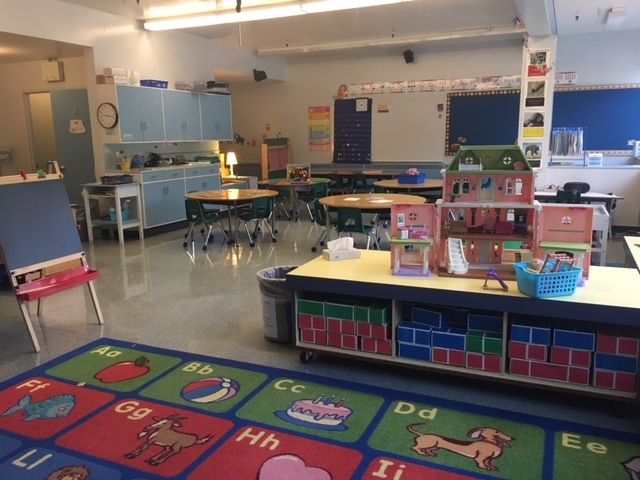 In addition to the Kindergarten classroom rules and routines, there will be the behaviour and academic expectations that we uphold and will be teaching your child. 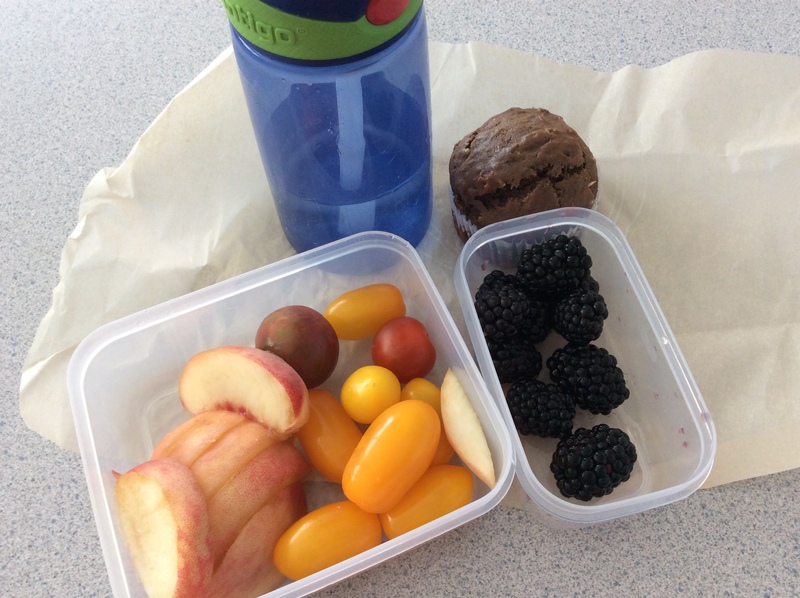 A good night’s sleep and healthy snacks and lunch, go a long way to helping your child bring his or her best self to school, participate fully in our amazing Kindergarten program and be on the road to becoming a life-long learner. We’ve tried to judiciously send home only a few forms at a time for you. There are many to complete in September so just do your best and let us know if you need any help or support. Kindergarten Parent Teacher Conferences are being held on Monday and Tuesday next week. Please sign up for your time if you have not already done so. Student Verification Forms were sent home on Wednesday this past week. Those should be reviewed, changes made if necessary, and returned to school on Monday, please. Comfort Kit bags were sent home this week. As you prepare a bag for your child, we realize it can be upsetting to do so as you anticipate what you and your family might do in the event of an Emergency. We believe that preparedness is key for any Emergency and you are helping and supporting your child in the best way. Remind is a teacher app we encourage you to subscribe to in order to receive the texts from your classroom teacher. These are meant to be helpful reminders to you about what’s upcoming, or quick mentions of fun things we did at school and we send a few photos through the year as well. theselfregulatedteacher.com is our Kindergarten website. 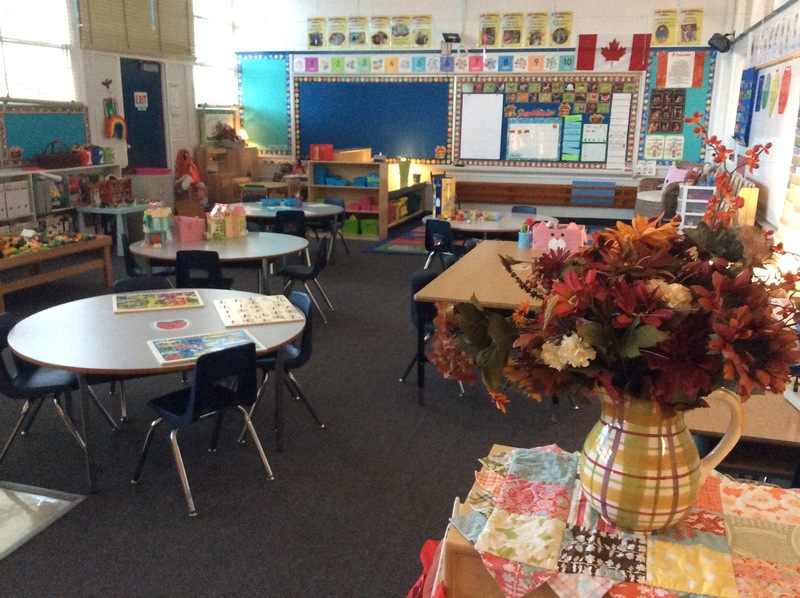 There is a wealth of information here for you all about our Kindergarten. Don’t have time to read through the whole website? Then just follow along by reading our weekly newsletter. We usually post on Friday (sometimes the weekends if it’s really busy) and send you a link through Remind. It provides a great basis of communication for you and your child as you will know everything about school. You can extend the learning by looking for some great story books, drawing a picture or just have a cosy time by talking some more about the classroom. “Meet My Teacher” for Grades 1-7 have an early dismissal at 2 pm on Friday, September 14. Kindergarten is in session until 2:55 pm. Kindergarten Families are encouraged to visit the Ice-Cream Social at the undercover area across from the portables after dismissal.